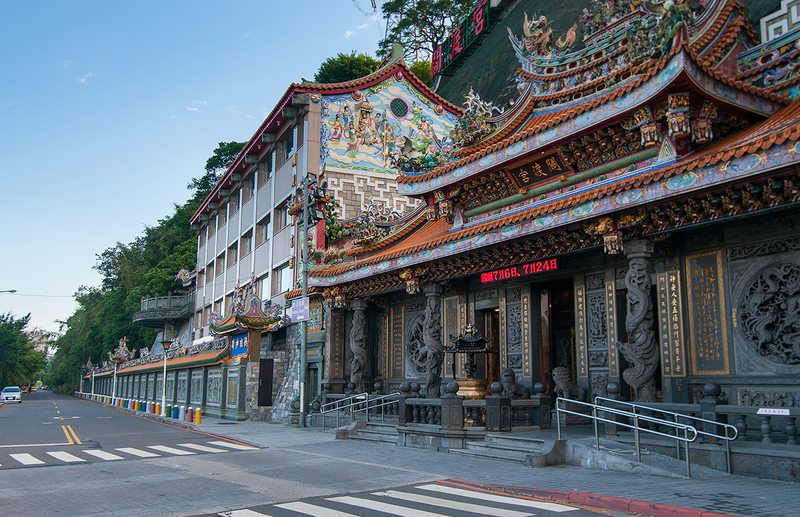 About a 15-minute walk from Guandu MRT Station is the Guandu Temple. 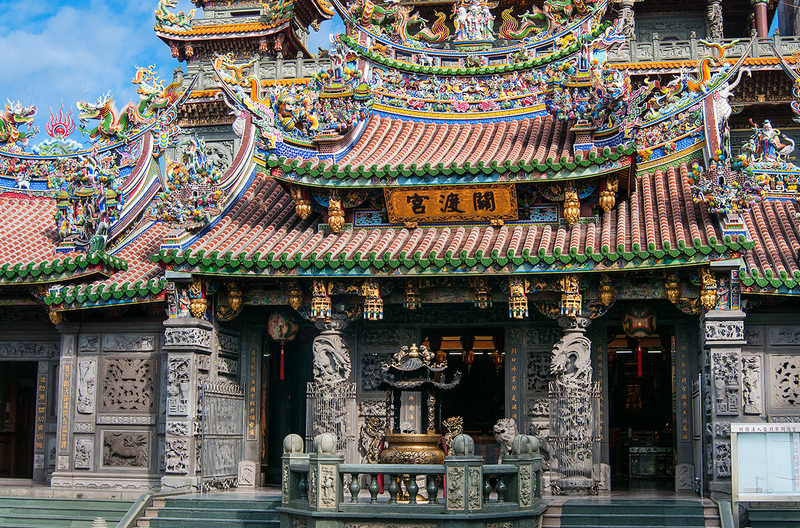 The temple, first built in 1661, is dedicated to Mazu, goddess of the sea. 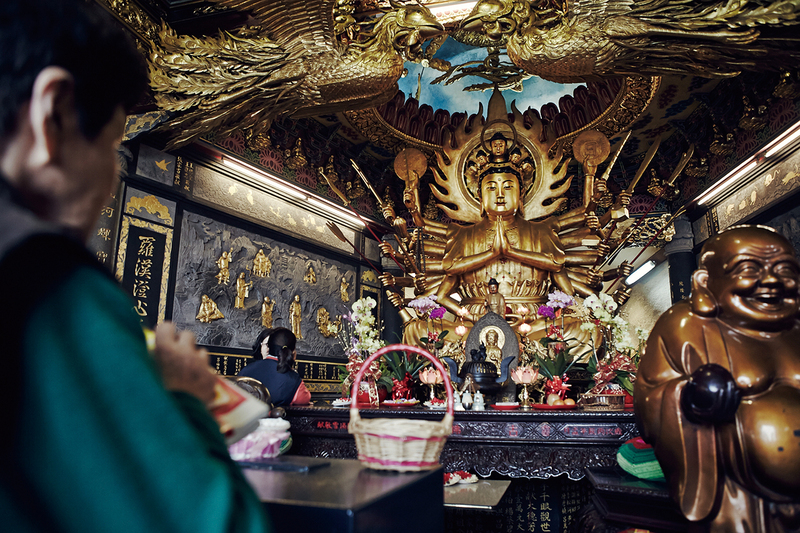 Beside the temple is a kind of Buddhist chapel dedicated to the Buddhist goddess of mercy, Guanyin of Thousand Arms and Eyes. Outside the temple there are numerous stalls selling products such as spirit money used in religious observances, as well as snack foods and souvenirs. The hillside above the temple provides excellent views of the river and the mangrove swamps. The dike that stretches from Guandu in both directions toward Taipei and Tamsui is an ideal place to take a stroll or enjoy the scenic beauty afforded by the wide expanse of the river. 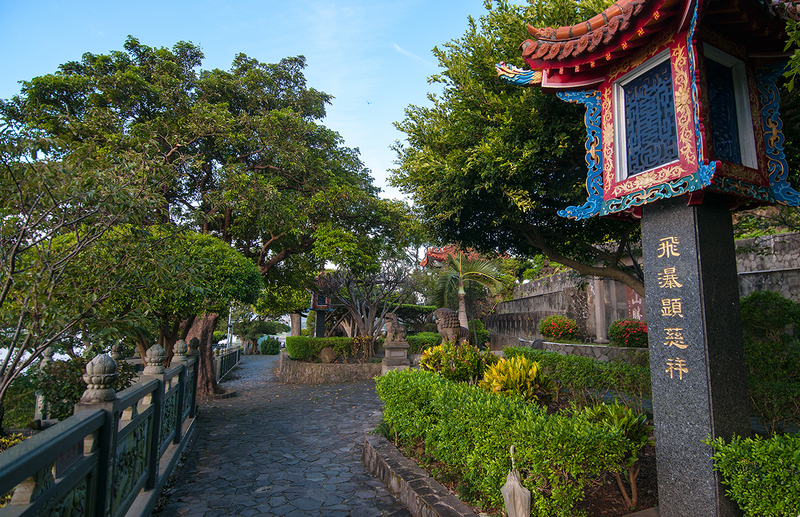 Founded in 1661, this is the oldest Mazu (goddess of the sea) temple in northern Taiwan; its original name was "Ling-shan (Mt. Ling) Temple," since it is located atop Mt. Ling. According to legend, in 1895 three old banyan trees standing at the temple's entrance died suddenly during the same night; local residents believed that this might have been a message from Mazu warning of impending disaster- and sure enough, the area was soon occupied by the Japanese. 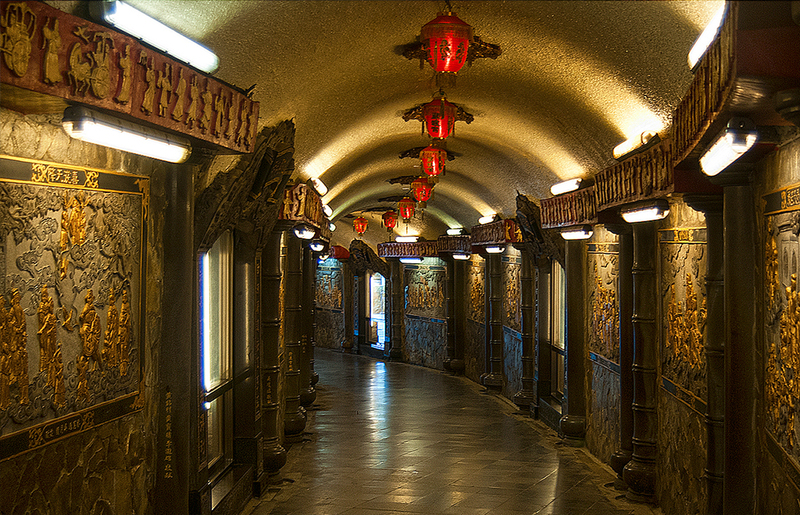 Guandu temple is filled with exquisitely carved dragon pillars, stone lions, and wall sculptures. Even the door gods are in the form of relief carvings, in contrast to the usual paintings. The rafters and beams are also beautifully carved and painted. On the main altar sits an image of Mazu, the benign expression on her face in sharp contrast to the fierce visages of the guardians who flank her, Eyes that See a Thousand Miles and Ears that Hear on the Wind. To the right of the temple is an 80 meter Buddha cave, at the entrance of which is a symbolic mortar that is supposedly able to suppress all evil. 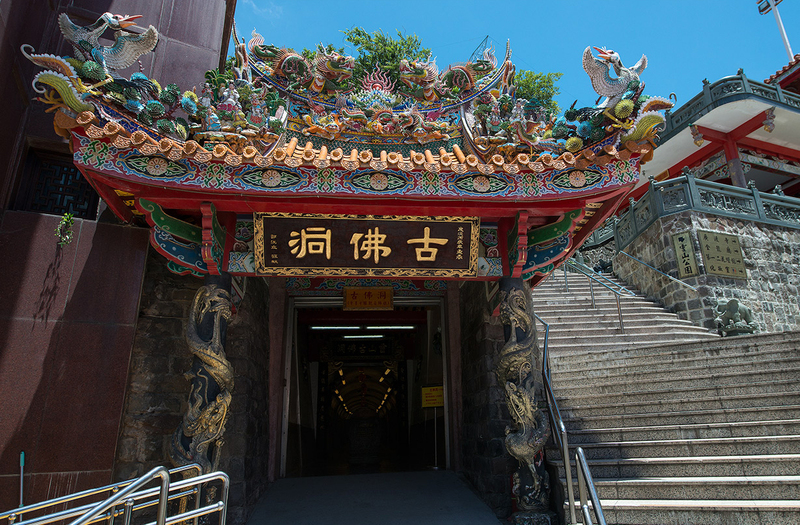 The sides of the cave are lined by 28 devas, and at the rear is a thousand armed, thousand-eyed Guanyin, or goddess of Mercy. To the rear of Guanyin is the cave's exit and a fine river view. Nat'l Hwy 1 → Taipei Interchange → Prov. Hwy 2B → Zhixing Rd. Take THSR or train to Taipei Station, transfer Taipei MRT to Guandu Station, transfer Taipei City Bus (No. Red 35, Small 23) to Guandu Temple Stop.